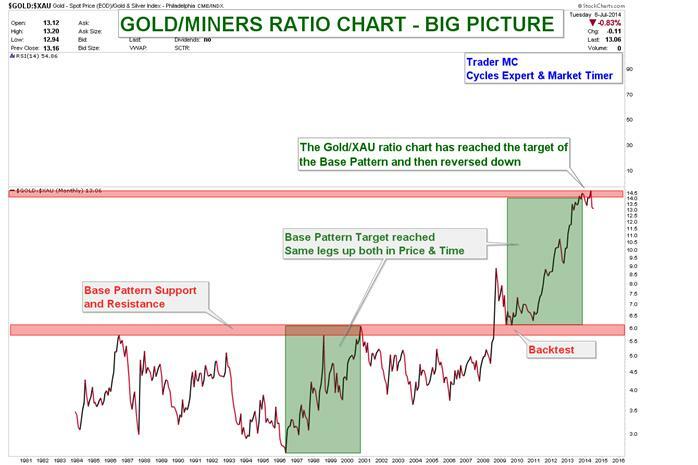 I think that the Metals and Miners Bull Market has just began and we are very close to the point of recognition of a new bull market which should give us an idea of what to expect going forward. As we have already seen in the past the first phase of a bull market is frustrating as many investors usually lose their positions too early and are therefore often left behind. This is how a bull market works. 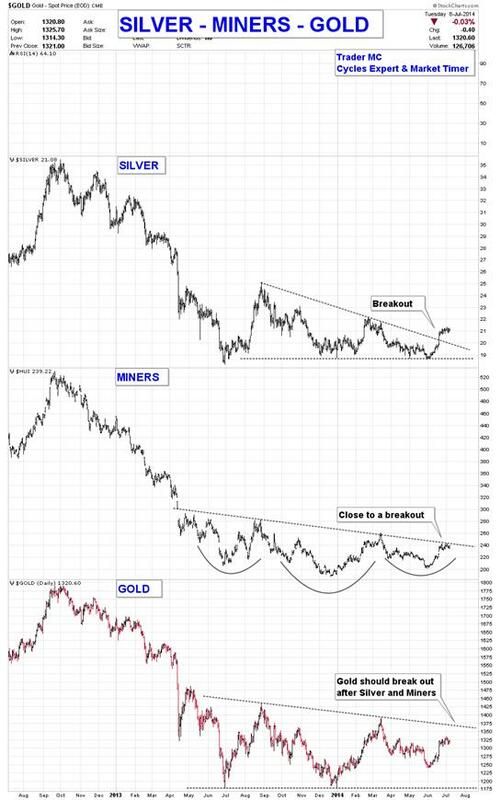 Charts are telling me that Metals and Miners are on the verge of a massive breakout which could be the point of recognition of a new cyclical bull market. When a point of recognition occurs, price action usually reveals a new bull market which should outperform the other markets. 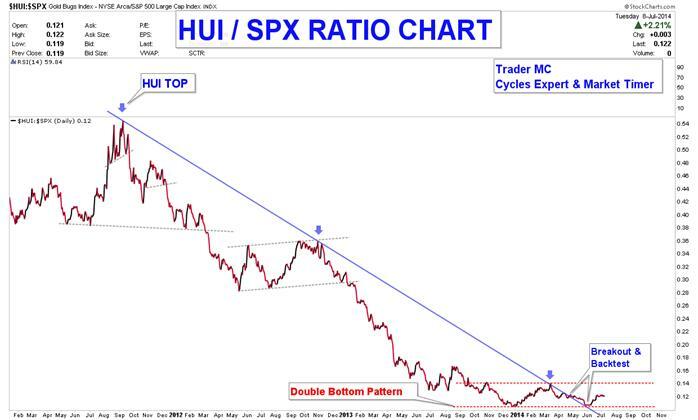 On the following chart you can see that the HUI/SPX ratio broke through a 3-year trendline resistance and is currently forming a possible Double Bottom Reversal Pattern. 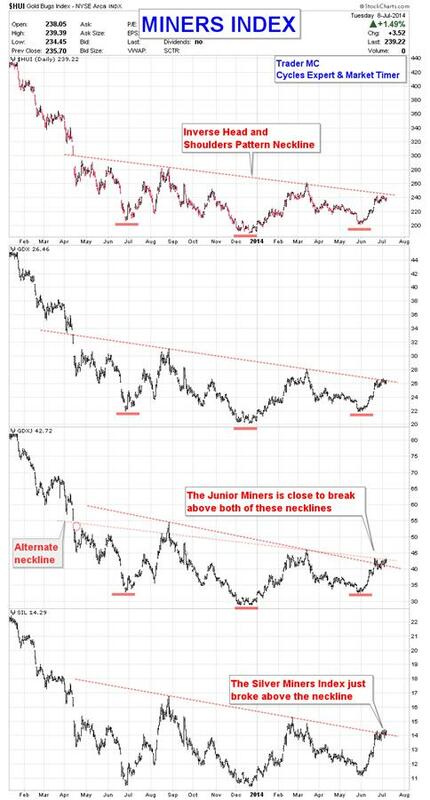 A break above the upper dashed red trendline would validate this reversal pattern and should bring more investors in the Miners sector. When this breakout happens, the Miners should outperform the SPX Index. 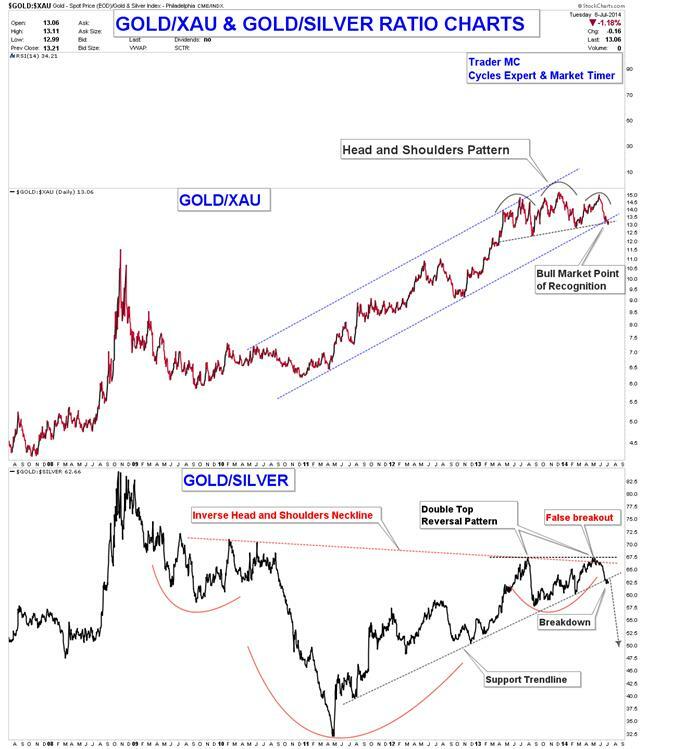 Metals and Miners are currently at a key juncture and are very close to print a point of recognition of a new bull market. Price action will be very important in the coming days to valid this new cyclical bull market. Our first leveraged positions on May 30 in Metal and Miners seem to be taken very close to the bottom and I think that it is not the time to sell these positions but on the contrary, to hang on during corrections in order to run all the bull market and to make nice profits. Keeping in mind the big picture to control our emotions is important at the beginning of each bull market.